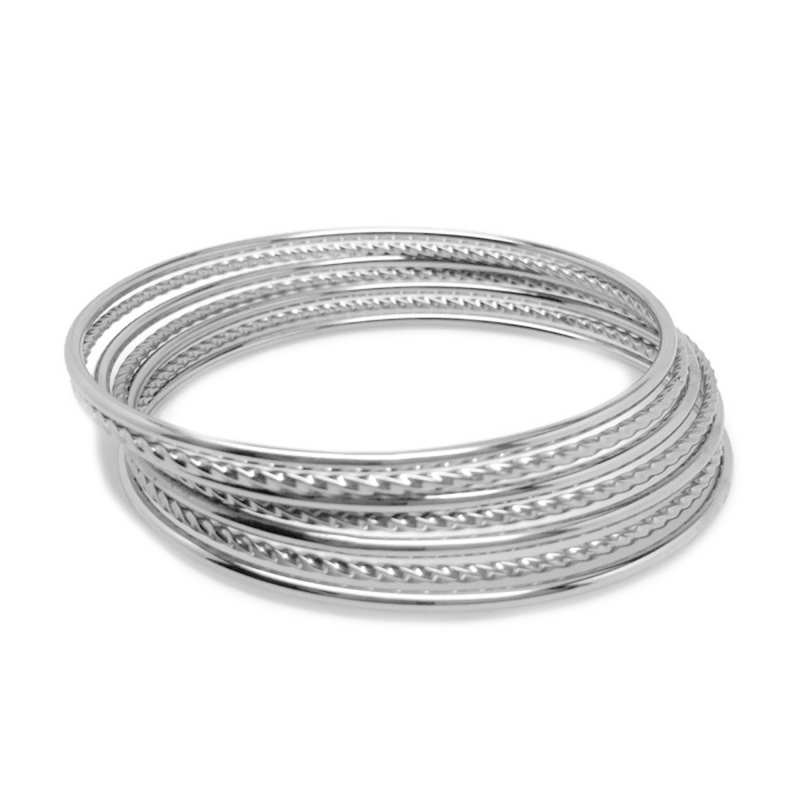 The mixture of spiral bangles (3) and plain round bangles (4) make this set very versatile. Use 1, group 3 or wear all 7. 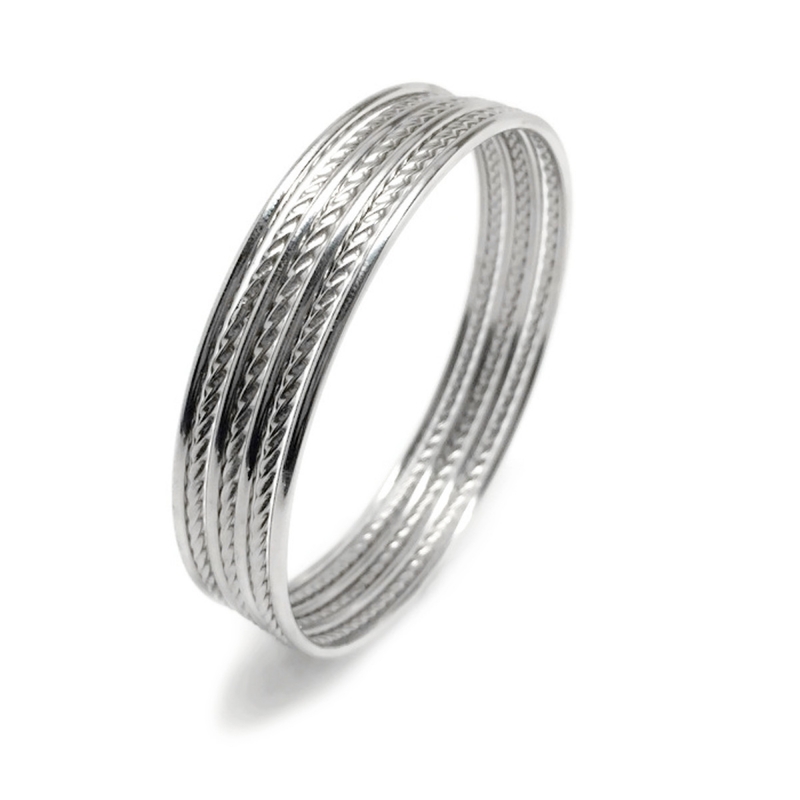 Each bangle measures 8 inches in circumference and 2mm in width. To ensure a good fit, make a fist and measure the thickest part. If under 8 inches, you are all set! 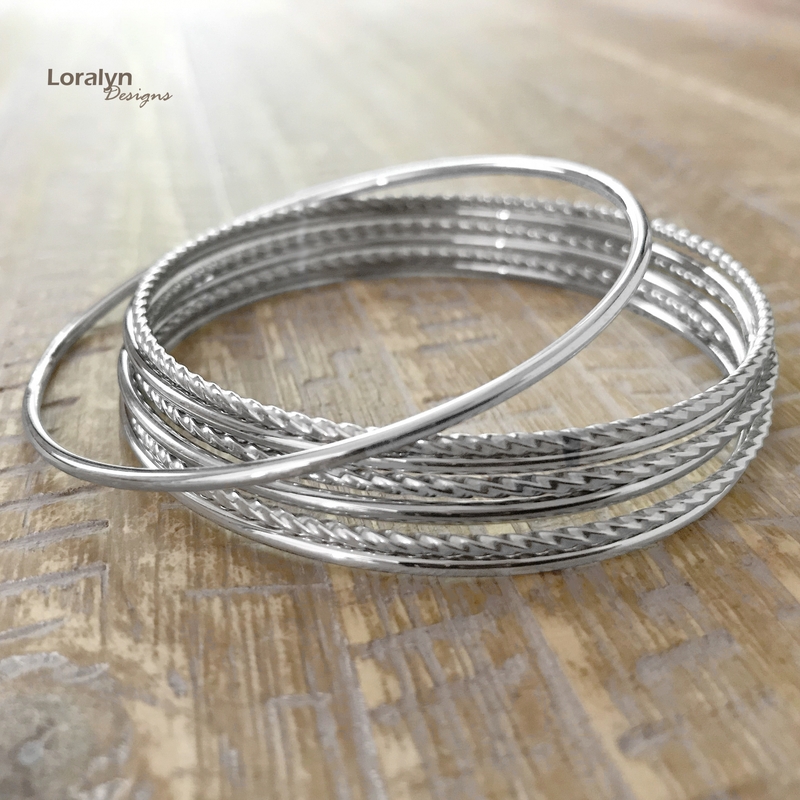 Since these bracelets are made from stainless steel, they will NEVER tarnish and are not susceptible to scratches, dings or dents. Stainless is also a great alternative for people that have skin reactions with other types of metals. Your set will ship in a beautiful Loralyn Designs satin storage/gift pouch.